A NASA spacecraft has captured an amazing video of solar twisters blowing across the surface of the sun. In the video, cooler plasma material appears as darker spots on a bright background. 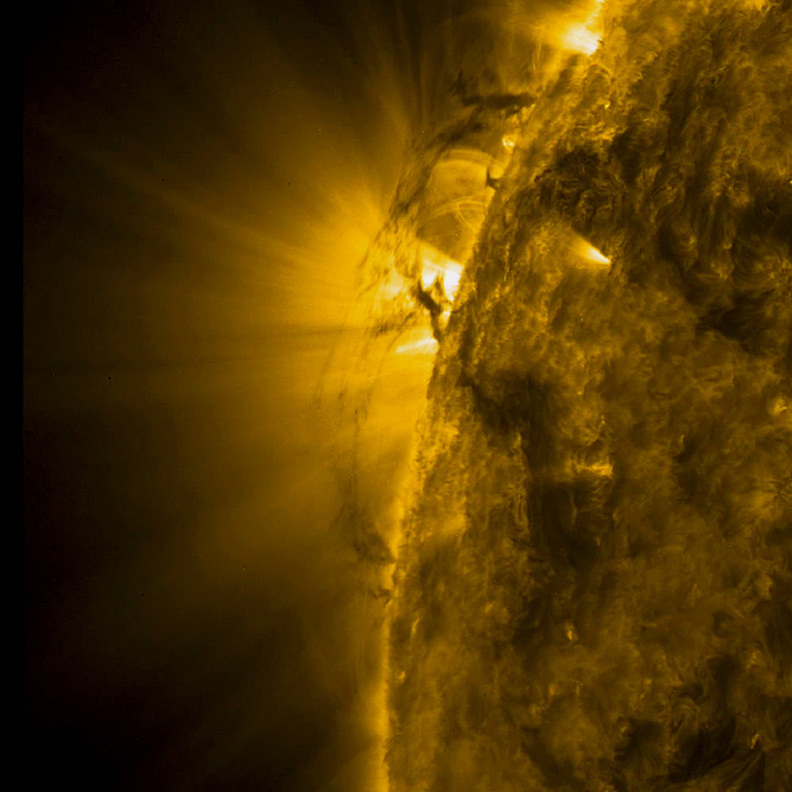 The SDO spacecraft recorded the video in the extreme ultraviolet range of the light spectrum, giving the movie an eerie yellow hue. NASA released the new SDO video to mark the second anniversary of the spacecraft's mission, which launched on Feb. 11, 2010. The $850 million spacecraft is on a five-year mission to record high-definition videos of the sun to help astronomers better understand how changes in the sun's solar weather cycle can affect life on Earth. The sun is currently in an active period of its 11-year weather cycle. The current cycle is known as Solar Cycle 24 and will peak in 2013.